" A journey that begin very auspiciously almost three years ago in the most unlikely of ways when a young woman traveled all the way from her homeland of Russia to spend a summer working on Martha's Vineyard. Who knew that in her shared "new" home, across land and sea, would reside her one true love. And although you both had been worlds apart in every way- somehow, someway, you were called upon to meet across the miles." -A little piece of Alexandra (Sasha) and Nick's ceremony. Sasha is a sweet girl, always smiling and always making jokes. Whenever she talked to me about her wedding day she was beyond excited and stressed in the same time. Being away from home is hard for her but she found a "new home" on Martha's Vineyard and she started to build her own little family with Nick written by officiant Jackie Kane. Nick seemed like a quiet guy when I met him, whiling to do anything to make Sasha happy helping her to have the perfect wedding day. In his vows he said: " I promise to be your safe haven in a sometimes difficult world. I will always do my best to make you happy as I love to see you smile so much. So even if it means jumping in the car and driving up island- just so you can see a deer or two in the field- I will do it!" When the sun disappeared they had their first dance as husband and wife, just the two of them on an empty beach and that moment was a wrap for a perfect day. Thank you for trusting me and I wish a long beautiful life together! Part of the day: Maggie Salon for hair and make-up, Morrice Florist for the bride bouquet, My Vineyard Elopement for the beautiful ceremony & Jackie Kane Officiant. I am so happy to see one of my favorite Elopements from last fall in the Island Wedding Magazine! Spending that afternoon on a wild beach with Mark and Bridget and their little daughter had a big impact on me! I won’t say a lot about them, details that won’t matter like last names, age, how they met, what jobs they have etc. But I will let the pictures tell you their love story, their connection, how they looked at each other and how fulfilling that day was for them! I am a big fan of colorful and simple and joyful and this family gave me everything I wanted from a photoshoot! I can’t explain how real they are, how simple it was to get lost in their love and how romantic was their ceremony! This short photoshoot was a tough one, I must say Maybe because Natalie is very precise and she really know what she wants, or because the pictures will represent her way of telling the world she will be a mom, or because basically she is like family for me. When she called me a couple of weeks ago, her voice was changed and with all the happiness in the world she just said “Uhm, Lari..I’m pregnant!! !” I knew immediately that it will be the beginning of a new journey for me too and this baby is a blessing for all of us. I couldn’t wait for her belly to be big so I can document her pregnancy, even if she has a really hard time accepting that her body will change:) Nothing is more beautiful than seeing her and Andrew being so excited for becoming parents. This week, the baby is the size of a kiwi! 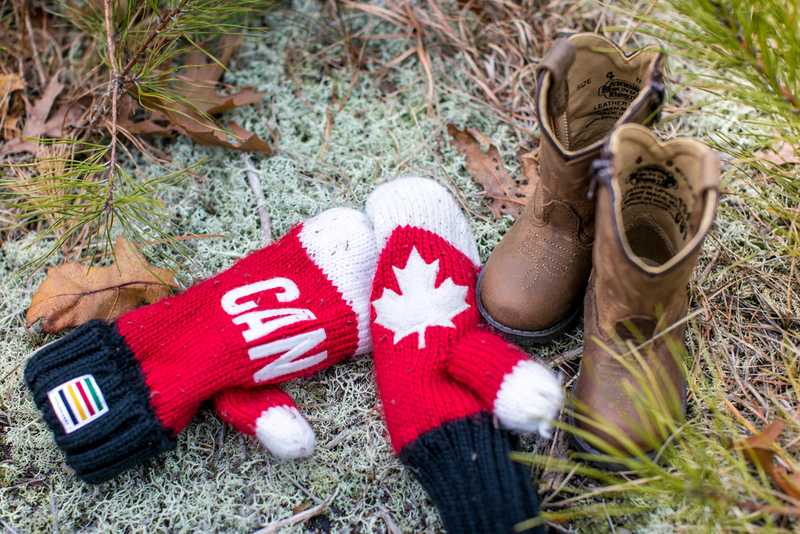 It was simple to think about all her favorite things and bring them in a photoshoot: nature, brown boots, cozy sweatshirts, her gloves with Canada, Andrew and her kiwi. We met for lunch and coffee and headed to a little secret forest in Vineyard Haven…The next hour we spent together you can see it through these next pictures. And for sure you will see more of her journey soon!